In the late 1940s professor F.A. Hayek saw the world marching towards socialism. In Europe, where the socialist stepchild of fascism had just been defeated, the people seemed all to ready to abandon the capitalistic system. In its place, they were turning to the very ideologies that had brought such misery to the world, socialism. Indeed even in that cradle of liberty itself, the United States, socialist ideas were being promoted under the banner progressive liberalism. The Nobel laureate had seen the terrible toll of socialism took on those countries that embraced it and understood its inevitable end was tyranny. He decided to to take a stand against the seemingly unstoppable move towards socialism in all its forms, he did so in the form of a book called The Road to Serfdom. It was a smashing success on both sides of the Atlantic, but found a home especially in America. It laid out how the bureaucratic institutions upon which socialism depends are inherently poisonous to freedom and liberty. The truth of his warnings can be seen in the abuses of the EPA, BLM, IRS and other bureaucratic institutions. 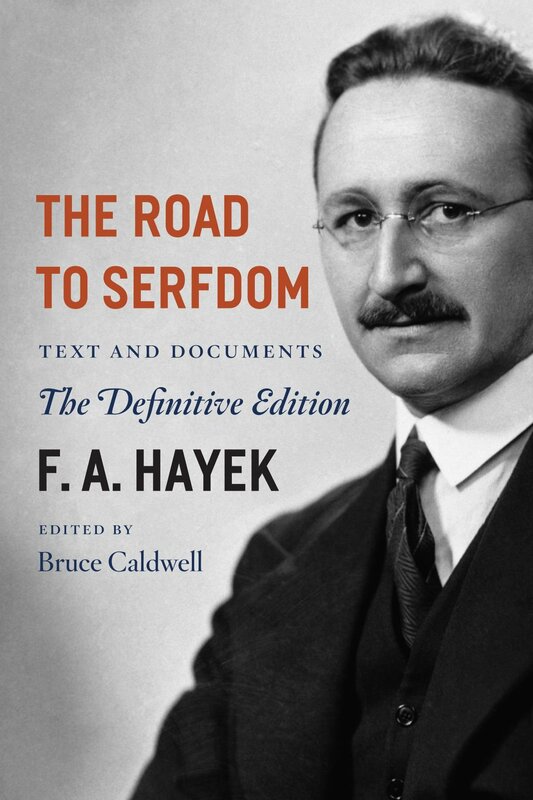 The Road to Serfdom is an enlightening book that seems as timely today as it was nearly 3/4 of a century ago.